## Overview Having developed various smaller mods (for [ArmA3](http://arma3.com/)) on my own and not having time to work on them, I decided to contribute to a collection of mods (addons) known as [Authentic Gameplay Modification](http://forums.bistudio.com/showthread.php?178253-Authentic-Gameplay-Modification) (AGM). While working on AGM I have taken gameplay mechanics from concept/prototype through to final product. Various features have been implemented in a creative manner due to various limitations imposed by modding and the Arma engine. 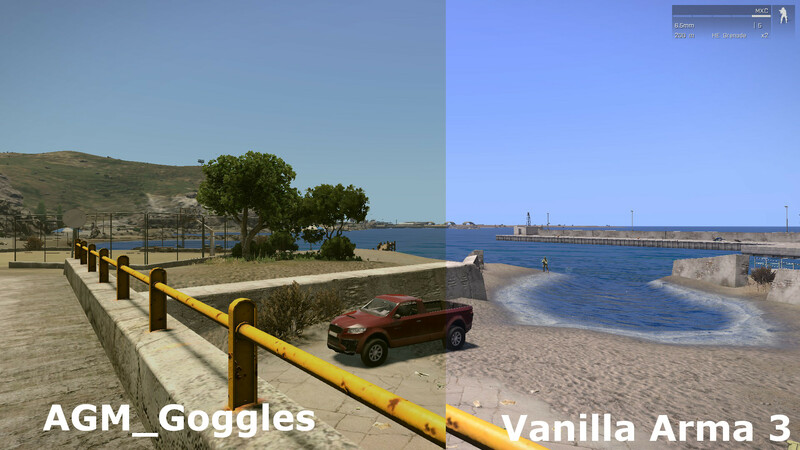 #### AGM_Goggles AGM_Goggles takes Arma 3's cosmetic eye-wear and adds actual in-game benefit to wearing glasses/goggles, while also adding improved cosmetic features (colour tint, dust, rain, cracks). 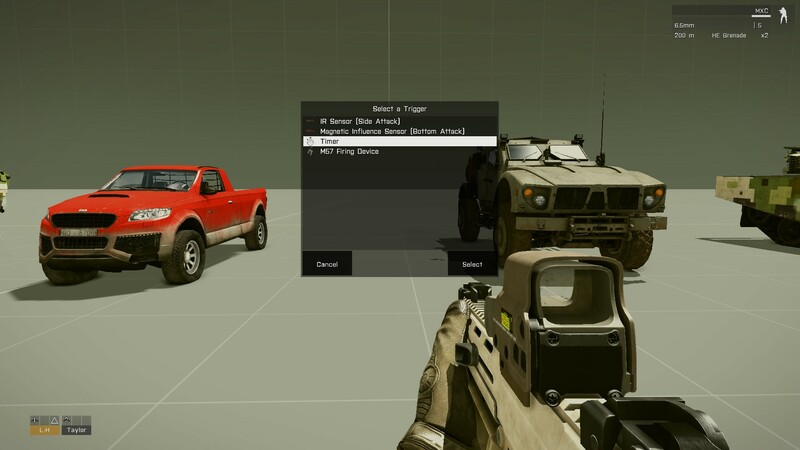 #### AGM_Explosives Arma 3's default explosives system while functional lacks the ability to accurately place explosives and doesn't support a lot of potential trigger modes that various explosives have. 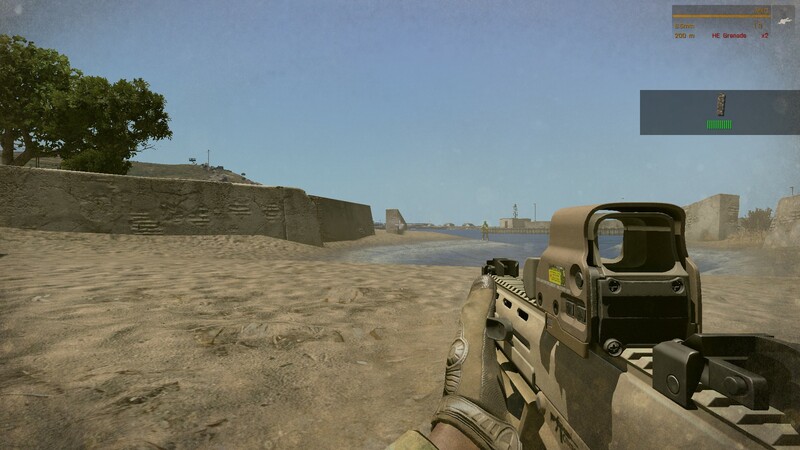 For instance an M4 SLAM has [4 trigger modes](http://en.wikipedia.org/wiki/Selectable_Lightweight_Attack_Munition) (bottom attack, side attack, timed demolition and command detonation) whereas Arma only supports 2 of those modes (timed demolition and side attack). AGM_Explosives works around these limitations by avoiding most of Arma's default explosives system and implementing a new system which allows easier trigger mode selection before placing an explosive. 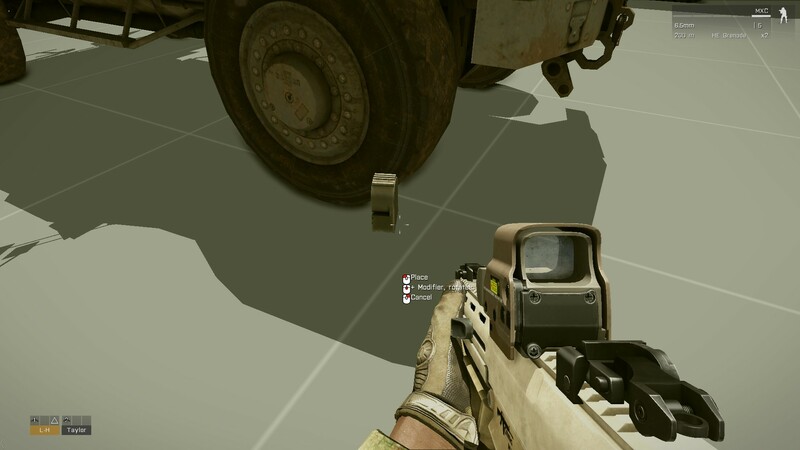 Placing an explosive is done with a manipulatable in-game object that can be moved/rotated to accurately place the explosive. Portion of a video showcasing the new explosives system. 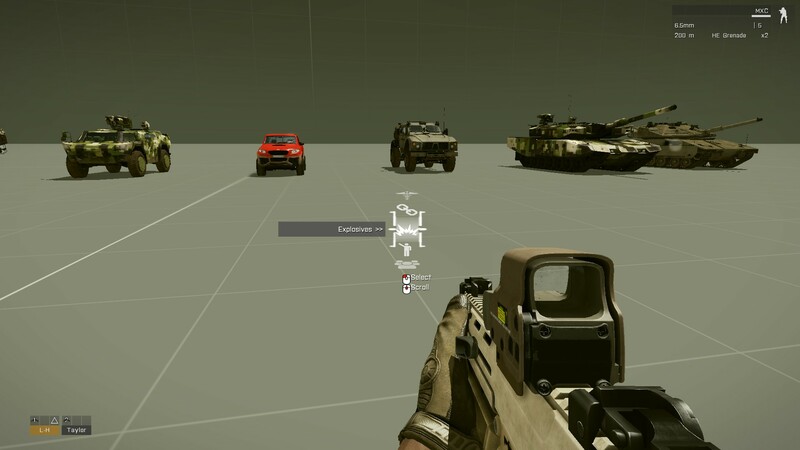 #### Other notables __AGM_Logistics__, improvements made to transferring ammunition from player to vehicle's weapons, loading objects (crates) into vehicles, dragging static weapons to different locations once they were placed. __AGM_Interaction__, provided an alternative interaction menu which was inspired by [Firefall's Calldown menu](http://www.gameplayinside.com/wp-content/uploads/2014/08/firefall-guide-how-to-use-calldowns-calldown-menu.jpg).